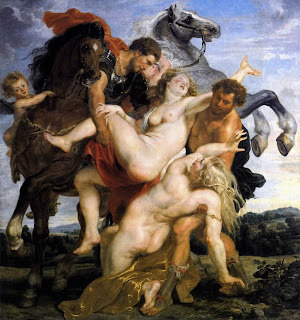 To me, fashion is an art form but I especially love it when a work of art is used to create something wearable and beautiful. 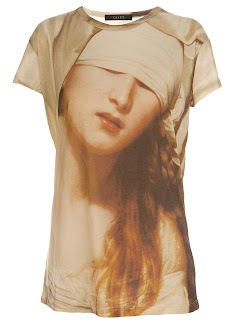 There are two that have particularly caught my eye lately because they're my kind of clothes featuring my kind of art. 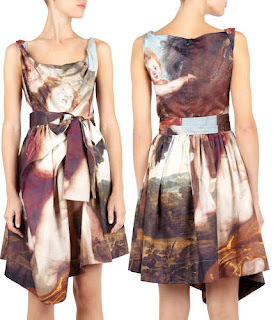 As expected, one is by Vivienne Westwood who has a habit of using beautiful art from the past in her designs. 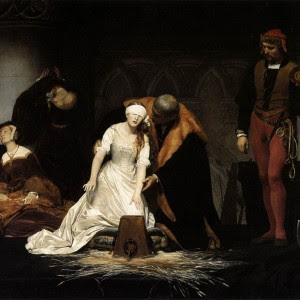 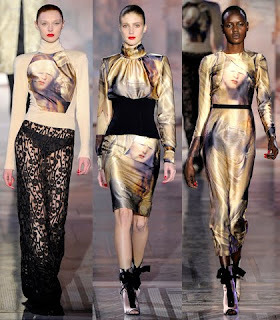 The other is by Giles Deacon who wins bonus points for using a portrayal of my favourite historical period - Tudor England.